Jesus has left Jerusalem for Galilee. He had pointed out that a “prophet has no honor in his own country,” but Jesus goes there anyway. The Bible says that the Galileans welcomed Jesus because of all of that He had done at the Passover Feast in Jerusalem. They were there to celebrate the Feast and saw the miracles He performed firsthand. However, the Galileans were not committed to Jesus. They just chased after His miracles. These scriptures remind us that Jesus had performed another miracle at Cana in Galilee. He transformed water into wine. In the miracle of transforming the water into wine, Jesus showed His transforming power to His servants only, but not to the others. The Galileans welcomed Jesus but they did not “honor” Him. We must receive Christ before we can honor Him. Jesus is far more than just a miracle-worker. The crowd wanted His signs and wonders, but they did not recognize Him as the Son of God and their Savior. Jesus’s miracles were proof that He is God and has the power of God. But Jesus wants us to have faith in who He is and His Word, not chase after miracles. 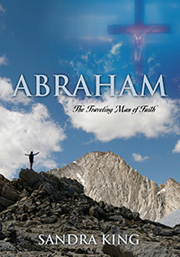 Faith comes when we see Him for who He truly is – the life-giving Word of God who is God and Creator of all things. Honoring Jesus is the evidence of faith. This man was a royal officer in the king’s palace. He understood authority because he had authority in the king’s court. He is desperate because his son is at the brink of death. This man had the very best doctors and medicine at his disposal and none of them could save his son from certain death. Jesus will use this circumstance to increase the officer’s faith and trust in Him and also save his whole household. We don’t always understand the ways of God, Jesus and the Holy Spirit. Their ways are not our ways. Jesus didn’t let the royal officer determine how He would answer this desperate father’s request. As a man of authority, this royal officer no doubt expected Jesus to do as he asked. Jesus is under no man’s authority! Jesus responds to this man’s request in an unusual way. “Unless you people see miraculous signs and wonders, you will never believe.” V48 Jesus is speaking to the wider audience surrounding Him, not just this royal officer. Jesus is correcting the crowd and testing this man’s faith in Him. This officer who is used to being in authority wanted Jesus to come with him to heal his son. Jesus refused to “come” with this man. Instead He told this official to “Go, your son lives.” This royal official must learn to trust the authority of Jesus’s Word. We must believe God’s Word in simple faith and trust. There is authority, power and life in God’s Word. Jesus’s Word is enough because His Word is Truth and He watches over it to perform it. In the beginning the Trinity spoke all things into existence by God’s Word. It was the Word of God (Jesus) together with the will of God and the power of the Holy Spirit that brought all things into existence. We must live our lives trusting in the full Godhead to recreate us into a new, spiritual creation who knows, loves, trusts and obeys the Lord. At first it seems as if Jesus is rejecting this man and his request. Jesus will use this circumstance to correct the wrong attitude of the Galileans toward Him and to instill trusting faith in the royal officer. The belief of the crowd was superficial – based upon His miracles, not His character and Person. Jesus didn’t reject or ignore this royal official’s request. Jesus knew this man’s heart and saw his limited faith. He will show the officer that he must believe His Word, not just His miracles. Jesus spoke His Word with authority. As a man in authority, this officer understood that those in authority must make their word their bond. As an authority himself, this officer knew that Jesus would do as He said. So, he obeyed Jesus’s Word. The man took Jesus at His Word and departed. V50 First this royal official heard the Word, then acted upon the Word and finally saw the result. He believed without seeing in blind faith and trust. John 20:29: “Blessed are those who haven’t seen, and yet believe.” Distance is no barrier to the power of Jesus and His Word. Jesus’s Word is enough! We must take Jesus at His Word and hang onto it until we see the results. If there is no faith, God can’t work. The life-giving Word of the life-giving Savior would breathe new life into this young man. On his journey back home, the royal official’s servants met him to tell him the good news that his son lives. His recovery was at the exact hour that Jesus spoke it. This miraculous healing strengthened this man’s faith and brought his whole household to faith in Jesus. Again, Jesus didn’t perform this miracle before a crowd. This royal official’s faith is rewarded.